Rick Perry: Gardasil "Was About Saving People's Lives"
"I would suggest to you that this issue about Gardasil: Making it available was about saving people's lives. I sat on the side of a bed of a young lady in Texas who died from cervical cancer and it had a powerful impact on me," Rick Perry said. Rick Perry also discusses the death penalty and giving in-state tuition to illegal immigrants who want to attend college in Texas. 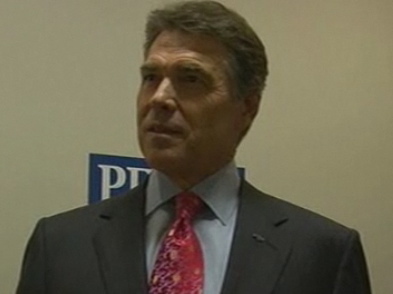 Perry once against said we're not going to punish people based on their last name. Perry did say that this is for people who are pursuing citizenship.